Somewhere off the coast of England, Lionel Lukin and his family fight for their lives. Caught in the crosshairs of a violent storm, their small ship is quickly slipping beneath the crashing waves. Lionel is miraculously washed to shore, only to discover that his wife and son are lost at sea. Broken and alone, Lionel determines to help others avoid the same tragic fate. Now he will overcome tremendous odds to save countless lives and change the world forever. Discover the incredible story of Lionel Lukin, the inventor of the English lifeboat. Inspired by real-life rescues that took place in the nineteenth century, Storm Warriors shares a compelling story of personal tragedy to heroic triumph, and the inspirational legacy of one man who dared to make a difference. Storm Warriors is based on the amazing true story of a man inspired to save lives after losing everything he had. Driven by a selfless passion to prevent future tragedies, Lionel Luken must overcame tremendous odds to change the world forever. 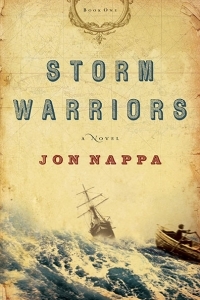 In 2007, NavPress published my original historical fiction novel, Storm Warriors. It went well and resulted in the founding of an International not-for-profit devoted to inspiring people to get involved rescuing others. The book was based on true-life rescues in the 1800s and the invention of the first unsinkable lifeboat in England. It is an exciting read enjoyed by many historical fiction enthusiasts but also people inspired by history and humanitarian themes. The book begs a larger question: What does it take for anyone to risk his or her life for others? Unfortunately, due to reasons unrelated to the book, NavPress did not remain in the fiction publishing business, and the book failed to receive the kind of marketing and sales support that might have helped it grow a larger audience. These days, the book has been reissued by Storm Warriors International and is packaged with the sequel, Storm Survivors. The books are proving very popular with those who have read them and help to draw continuing interest to the ongoing work of Storm Warriors International. You can find out more at stormwarriors.org and track updates here by looking for the Storm Warriors tag on these posts. 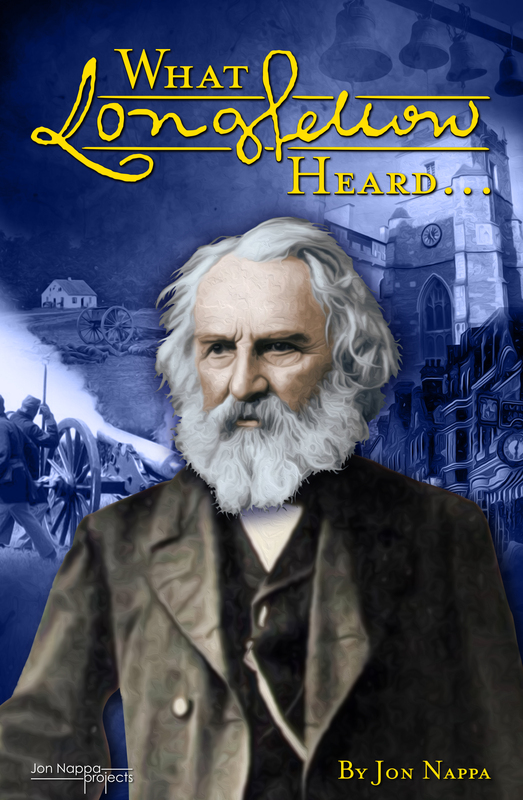 After another project of mine, the Longfellow book (see posts tagged as Longfellow), is released in 2015, I am hopeful that Storm Warriors and Storm Survivors will be picked up by the same publisher, attracting new and larger audiences. In the meantime, you can check out the books here in just a few weeks (in both e-book and traditional formats) – you won’t be disappointed. Inspiring!! A call to action in your own life. It has been a long time since I have picked up a book that touches my heart so deeply that I am inspired to make changes in my own life. From the very beginning Jon Nappa captures your senses. So descriptive, I felt as if I were on the rocking ships and sharing an ale with the Storm Warriors at Cannon’s! I went from crying to cheering as I read this book without being able to set it down. In my opinion, the greatest accomplishment in the writing of this book is the question you are led to ask yourself. It is the same question Lionel Lukin asked, “Must it be that only by suffering personal tragedy will a man at last be moved to answer the cries around him?” (pg. 226) As I set it down, tears in my eyes, I realized that I must personally be a Storm Warrior and reach out to people who need me. We can all make a difference! With highest recommendation, I urge you to pick up this book and become absorbed in it! Storm Warriors, based on real people and events, transports you back to a time in England’s history when man was dependent upon ships as a primary source of transportation. The book tells a story about a man who loses his family at sea and inspires a community to rally together to save other people from the perils of the Goodwin Sands. Through vivid, captivating narrative, a tragedy blooms into a fascinating tale of redemption. Jon Nappa inspires you to “shine your light” and embrace our world through grace and love. Two words; impressed and touched. I just finished reading Storm Warriors and though it took a few minutes to get the tears to stop, I have to tell you I am 1) Impressed with the skills of the author…I was captivated from the beginning and looked forward with great anticipation each and every time I found the time to read more. 2) The story of Lionel Lukin, his loss, his success, his miracle was deeply touching, and the story within the story of Arthur and Edward was equally touching. “…brought here on a coach of your own making does this night come the answer to the ache of your broken heart.” Simply amazing work Mr. Nappa….amazing indeed. I’m anxious to read the next installment.